A fireman named Spini has come for a call. The old woman told him that her cats have been trapped in the sewer. 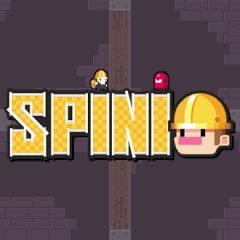 When Spini went down, he saw that this wasn't a simple sewer. Hordes of ugly monsters, lots of sharp spikes – and poor little cats in the corners. Help them!